My Tension Square is not the Right Size... Help! Did you cast on enough stitches? If the tension you are aiming for is, say, 22 stitches x 28 rows, it can be tempting to cast on 22 stitches, work 28 rows, and then measure your swatch. Unfortunately, this is not a very reliable guide to your tension. 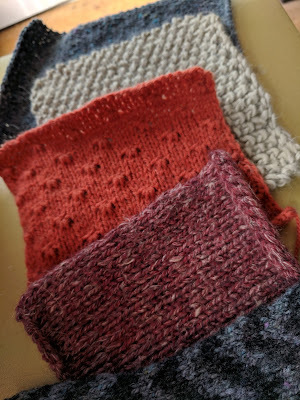 One of the main reasons not to trust that piece of knitting is that the edge stitches on the sides, top and bottom are formed differently to those in the middle of the work. They are not “anchored” into place by other stitches on all sides and, consequently, they are a slightly different shape and size. A better approach is to cast on a few extra stitches (in our example, at least 30 but the more you have, the more accurate your measurements will be) and work a few extra rows. Then, measure the centre 10cm x 10cm and count how many stitches and how many rows fit into that square. This will give you a far more reliable guide to your tension and how close it is to the tension specified in your pattern. Is the tension given for stocking stitch or another stitch pattern? The tension guide on a ball band will give you the expected number of stitches x the number of rows in stocking stitch, but a pattern may tell you the number of stitches x rows in a different stitch pattern, according to the stitch pattern used in the garment. This can make a big difference to the number of stitches or rows you can expect to fit into 10cm. 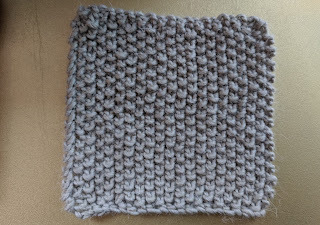 For example, 30 rows of garter stitch (knit every row) will only be about half as long as 30 rows of stocking stitch (alternating knit and purl rows). Similarly, 20 stitches in a cable pattern will not be as wide as 20 stitches in stocking stitch, because the cables draw the fabric together. 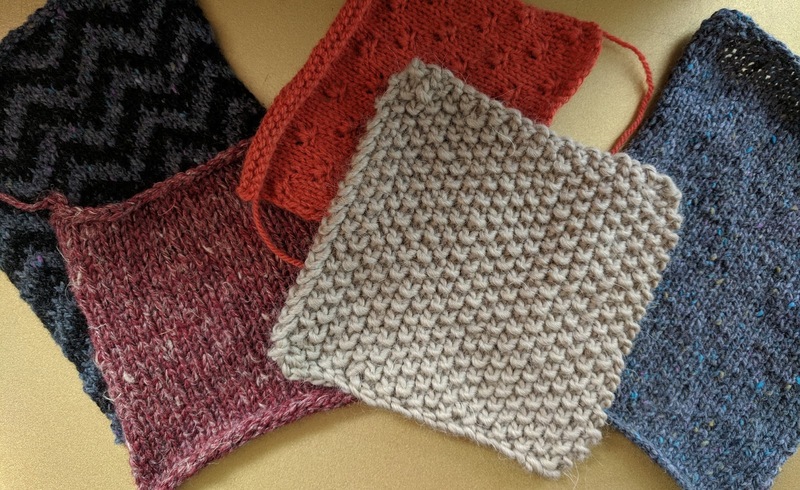 Be sure to make your swatch in the same stitch pattern as listed in the pattern! Did you block your swatch? If you’re going to be blocking your finished article, or there is any chance of it stretching over time, it is best to treat your swatch in the same way in order to get as accurate a picture as possible of what your finished project will look like after you’ve washed and worn it. The tension given at the start of a pattern should take this into account, since the finished measurements are usually calculated alongside the tension requirements. So, if you block your swatch and afterwards it is 25% larger than it should be, your finished cardigan will also be 25% larger once you’ve washed it. So, to get a true idea of how big your finished object will be, you should always block your swatch! For small adjustments, try a different needle material. If your tension is off by only a tiny amount, you can make very small adjustments by knitting with a different type of needle. Many knitters find their tension is slightly different when knitting with bamboo vs aluminium needles, or circular needles vs straight needles. (This also means that it can be risky to switch from one to another part way through a project, as your tension might change!) Likewise, crocheting with an aluminium hook vs a bamboo hook can make a real difference. Are the stitches still “live”? Casting off, especially if you cast off quite tightly, can alter the tension of the top row of knitting, as can leaving the stitches on the needle. The solution? 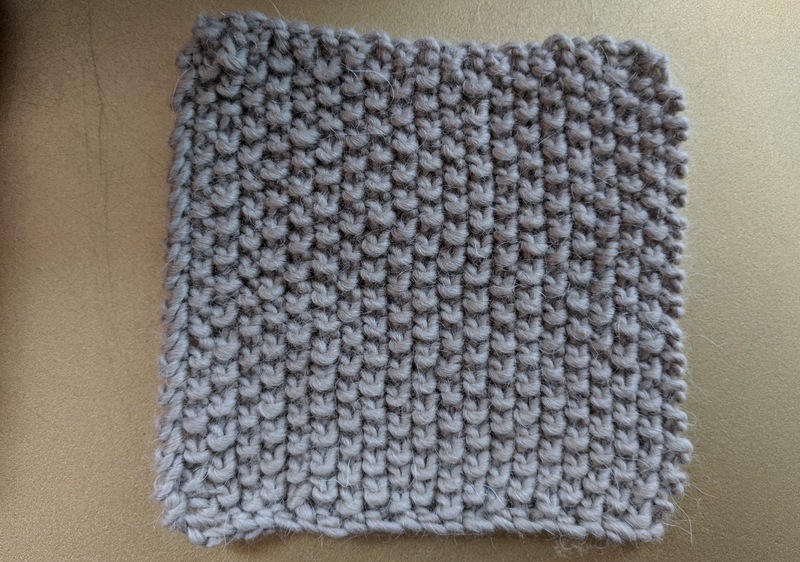 Slip the stitches onto a piece of scrap yarn before measuring them, or work a few extra rows and just measure the middle rows. So, I hope this information is helpful, either to solve existing tension problems or to prevent them from happening in the first place. If you have other tension questions, feel free to leave us a comment below. British wool is an increasingly popular choice for knitters who want to support local industries and minimise the environmental impact of shipping yarns from the other side of the world. Less widely available, but every bit as exciting, is British alpaca, and the newest addition to Rowan Yarns’ range combines these two fibres to produce an exquisite yarn. Moordale is spun in Yorkshire (the birth place and spiritual home of Rowan Yarns) by a local spinning mill, and really captures a lot of what is great about both of these fibres. Composed of two plies loosely twisted together to form a yarn that sits on the fine end of DK weight, Moordale has a smooth, woolly feel, a lustre and faint halo. It softens when wound from a hank into a ball, and softens further when knitted up on a 4mm needle. The fabric it produces has a good drape and a slight fuzziness. One of my favourite aspects of Moordale is the richness of the colours. The alpaca and Bluefaced Leicester fibres take dye differently to one another. This produces shades which, at first glance, look like solid colours but, upon closer inspection and especially after knitting, you can see a subtle mélange of darker and brighter fibres. The resulting fabric has a real warmth and depth of colour. I’ve been knitting the Buckler hat (in the smaller size) from the Moordale Collection, and one 100g hank is comfortably enough yarn to make this slouchy hat plus a pompom for the top. I’m using KnitPro Zings, and the yarn slides smoothly and quickly along the aluminium surface of the needle. After blocking, the fibres relax into a loose, comfortable fabric with a more pronounced halo. A hat like this is a great project for test-driving a new yarn before committing to a larger project like a sweater or cardigan and, after my Buckler, I think there will be a number of other Moordale projects joining my queue.